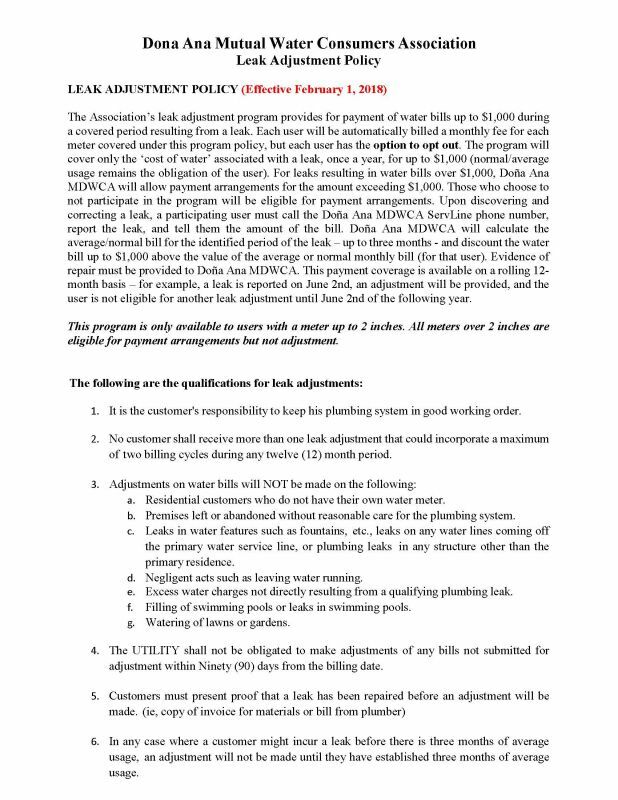 The Association’s leak adjustment program provides for payment of water bills up to $1,000 during a covered period resulting from a leak. Each user will be automatically billed a monthly fee for each meter covered under this program policy, but each user has the option to opt out. The program will cover only the ‘cost of water’ associated with a leak, once a year, for up to $1,000 (normal/average usage remains the obligation of the user). For leaks resulting in water bills over $1,000, Doña Ana MDWCA will allow payment arrangements for the amount exceeding $1,000. 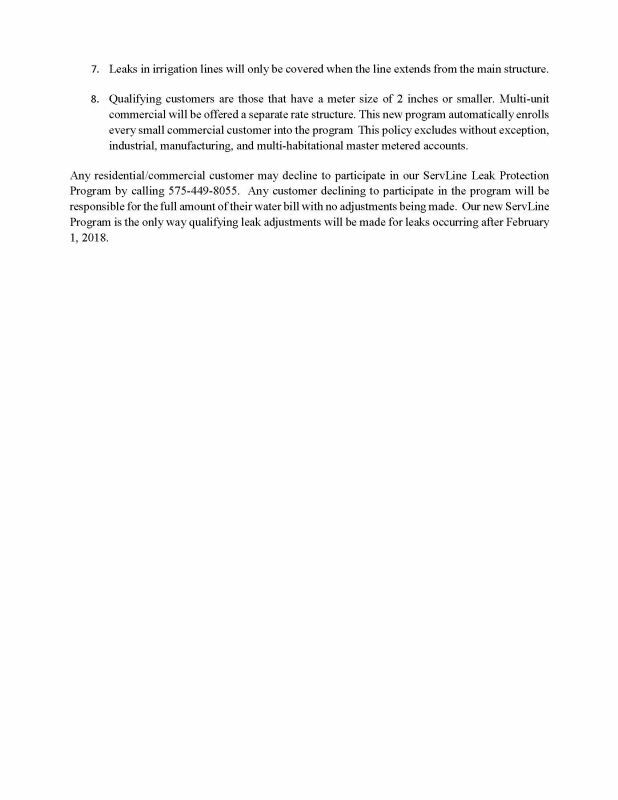 Those who choose to not participate in the program will be eligible for payment arrangements. 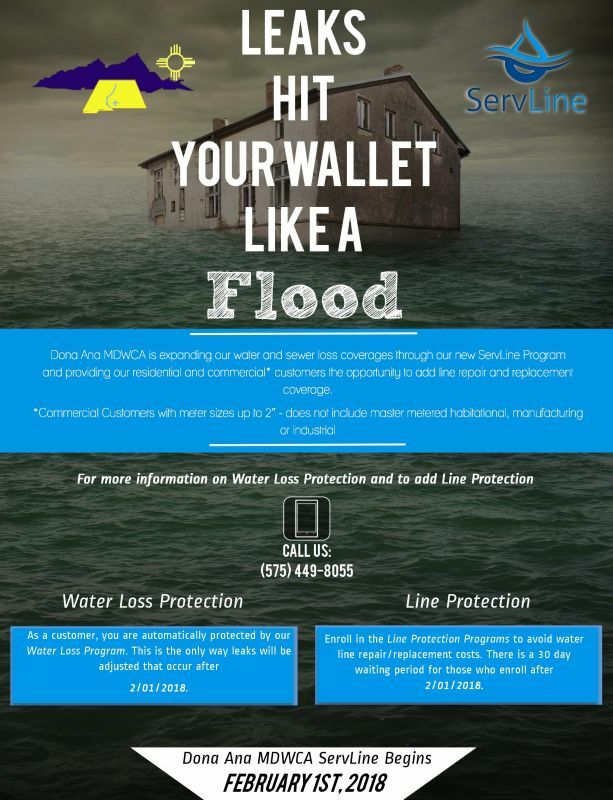 Upon discovering and correcting a leak, a participating user must call the Doña Ana MDWCA ServLine phone number, report the leak, and tell them the amount of the bill. 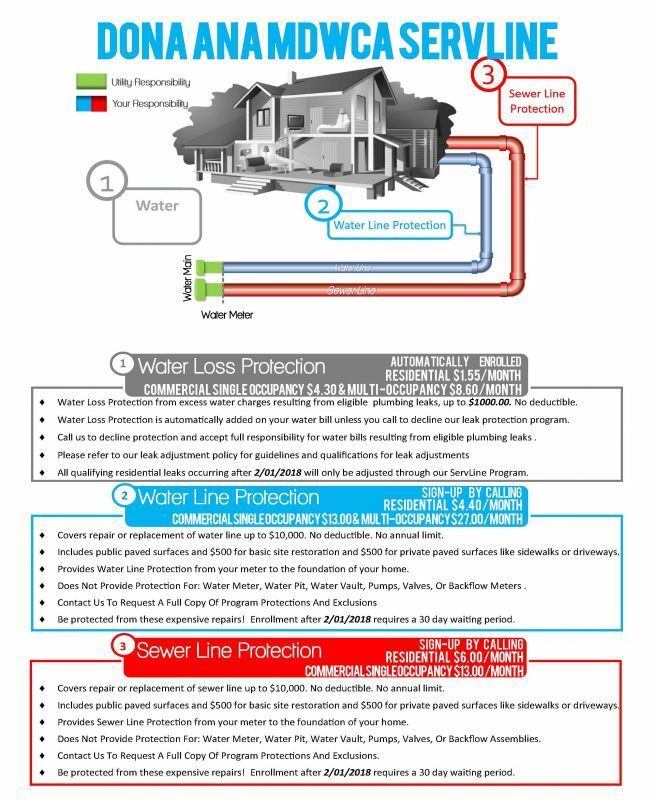 Doña Ana MDWCA will calculate the average/normal bill for the identified period of the leak – up to three months - and discount the water bill up to $1,000 above the value of the average or normal monthly bill (for that user). Evidence of repair must be provided to Doña Ana MDWCA. This payment coverage is available on a rolling 12-month basis – for example, a leak is reported on June 2nd, an adjustment will be provided, and the user is not eligible for another leak adjustment until June 2nd of the following year. This program is only available to users with a meter up to 2 inches. All meters over 2 inches are eligible for payment arrangements but not adjustment.